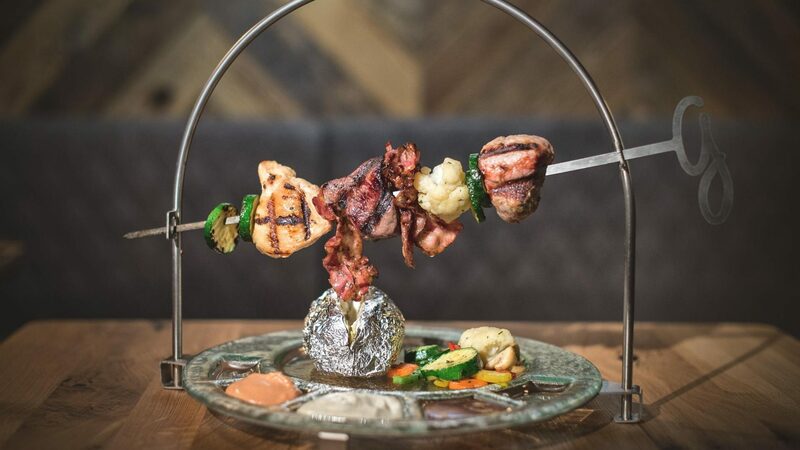 Regional, fresh, authentic – in our restaurant food becomes an expression of the national and regional culture. 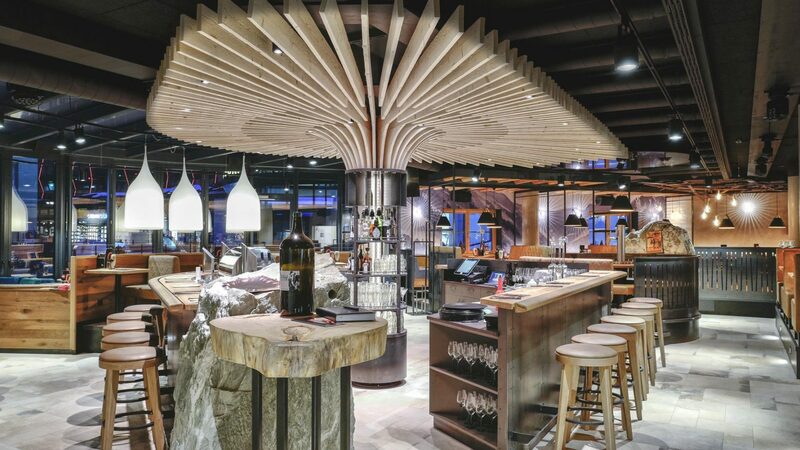 Delight in mouthwatering Tirolean specialties, timeless classics of the Austrian cuisine and international delicacies, paired with the finest wines from well-stocked cellars. 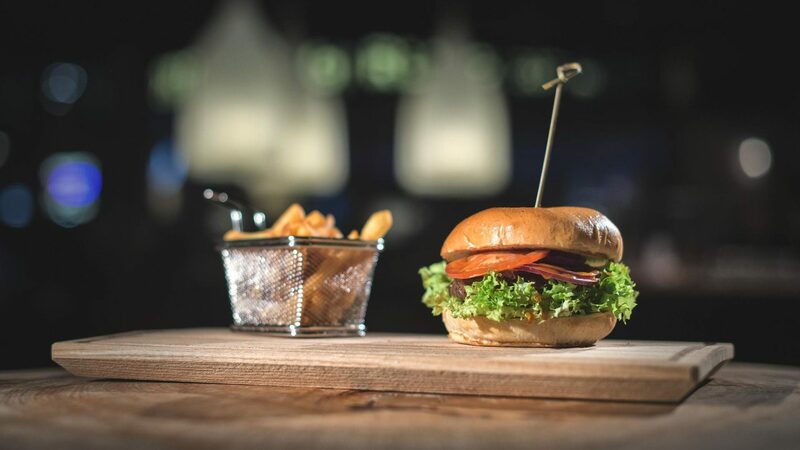 Enjoy your culinary holidays in the cosy ambience of the wooden parlours at our hotel in the Zillertal. The parlours have always been the centre of rural life, where families took their meals, talked and spent their valuable leisure time. Up to the present day, we have kept the traditional atmosphere. Beautiful wood coffered ceilings, elaborately carved rustic chests, an old tiled stove and quaint Swiss stone pine wood create a relaxed ambience. Our staff will treat you with warm hospitality and highly attentive service, tending to your every wish. 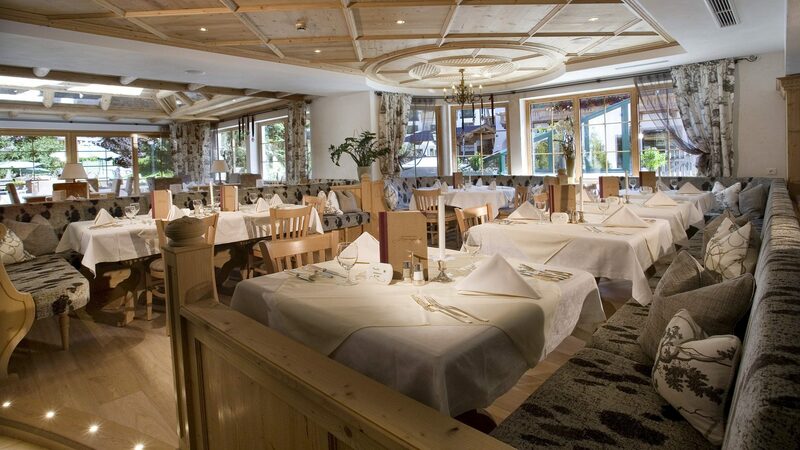 Our restaurant has been awarded with the seal of quality “Tirol Conscious”. This award guarantees the preferred use of regional products for breakfast, afternoon snacks and the 5-course menu in the evening. Local farmers supply excellent products such as milk, cheese, yoghurt, eggs, vegetables, fruit, herbs and meat – so that our guests can enjoy Tirol’s versatile cuisine. 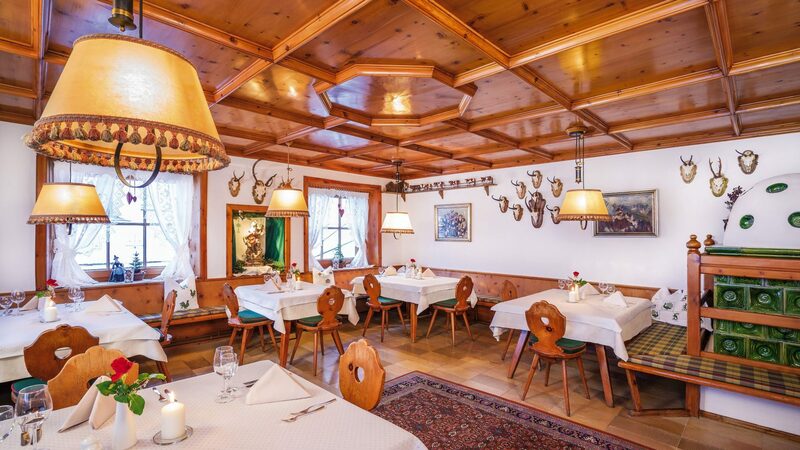 A highlight of every culinary holiday in the Zillertal is venison from local hunting. The forests around Gerlos provide deer, chamois and venison in excellent quality. Our lamb meat is also a delicacy. We serve fine lamb specialties from our own farm within our gourmet half board and in our restaurant in Gerlos. Tirol Conscious – True to the motto “regional specialties”, we are committed to using local products for our meals. The Gaspingerhof inclusive services include our gourmet half board plus. Explore our exquisite and varied cuisine which meets the highest culinary standards in a wonderful ambience. The spacious dining room with conservatory, the quaint parlours and the large sun terrace are waiting for you. 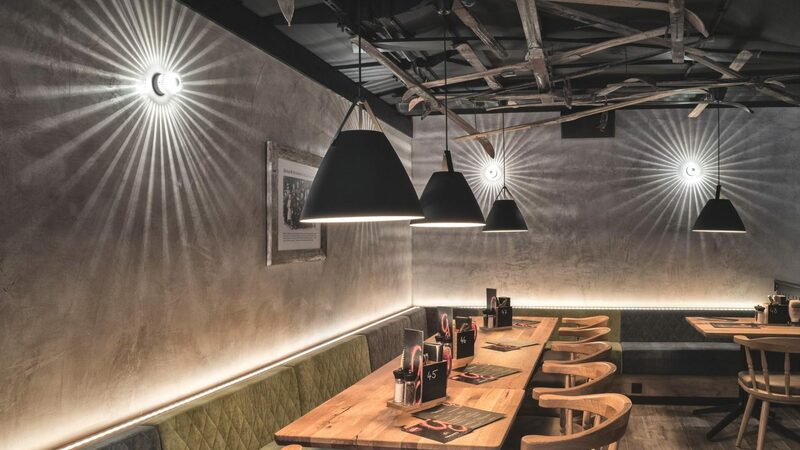 In addition to Tirolean specialties, the Gaspingerhof also offers international dishes, Mediterranean-inspired creations and light healthy meals. Weekly gala dinners, theme buffets and barbecues make your culinary holidays in Austria a feast for the palate. 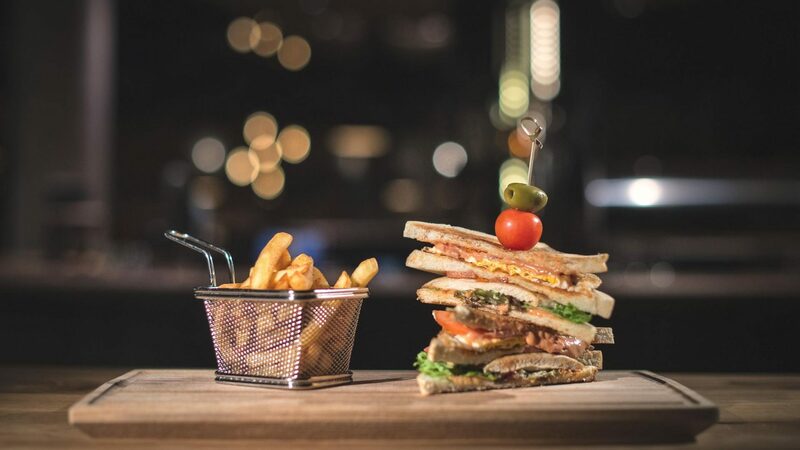 Small guests can choose from a versatile children’s menu at our restaurant. 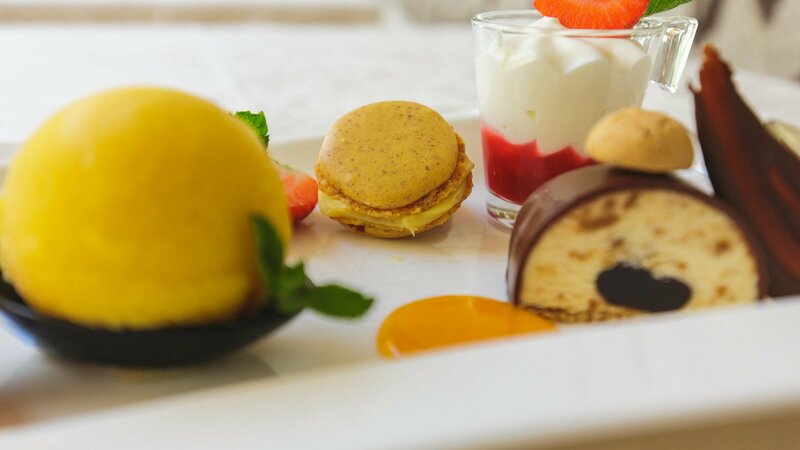 On request, our culinary team will gladly prepare special dishes for guests with food intolerances or vegan lifestyle, we kindly ask you to inform us of your wishes before arrival. 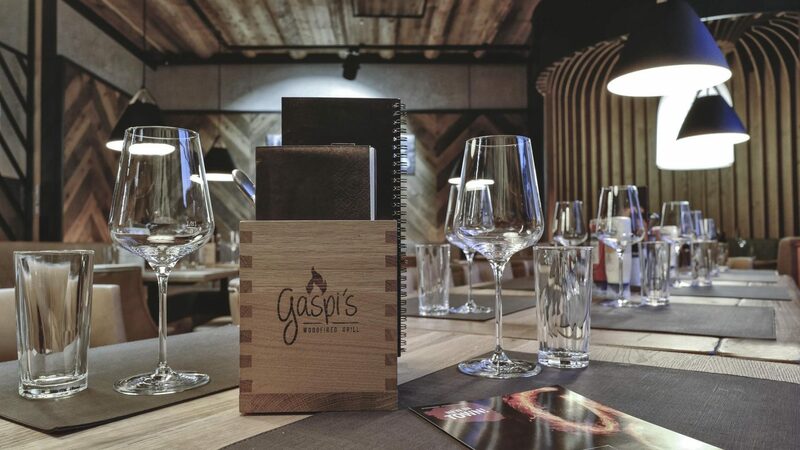 We are happy to welcome our guests at our restaurant Gaspi’s Woodfired Grill and Bar. 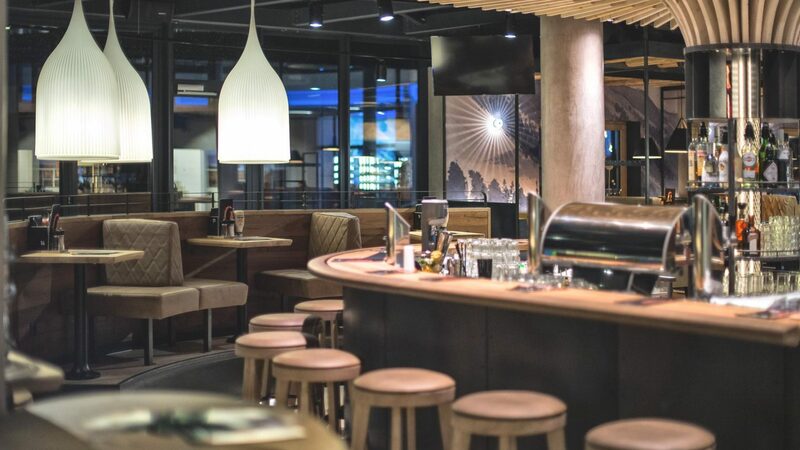 The modern à la carte restaurant is located in the centre of Gerlos directly adjacent to the Dorfbahn gondola and has an underground connection to the hotel. 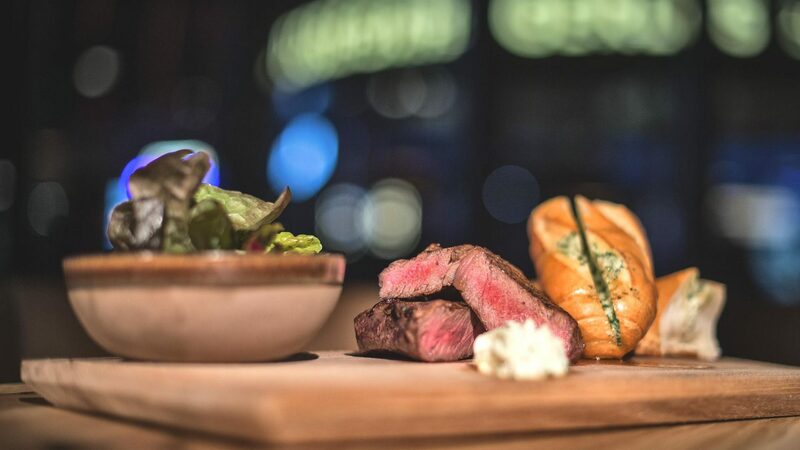 Gather family and friends and let us spoil you with specialties from the wood fired grill and creative cocktails. 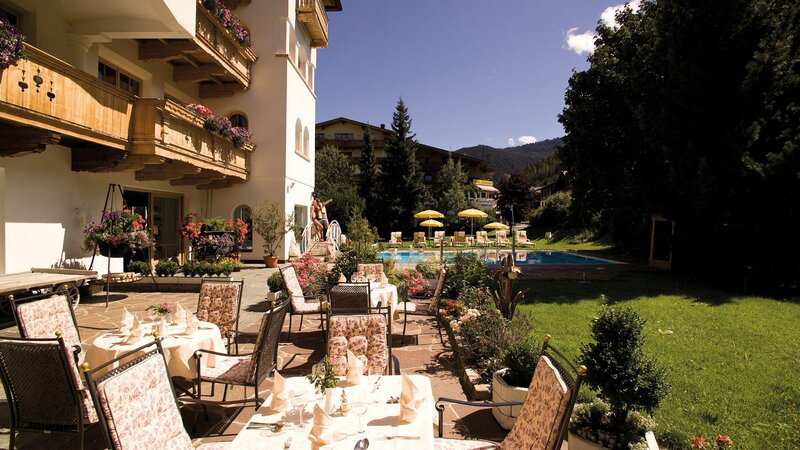 Winter sports enthusiasts can end a fantastic skiing day on the sun terrace of Gaspi’s. Don’t miss out on news and upcoming events and follow us on Facebook. 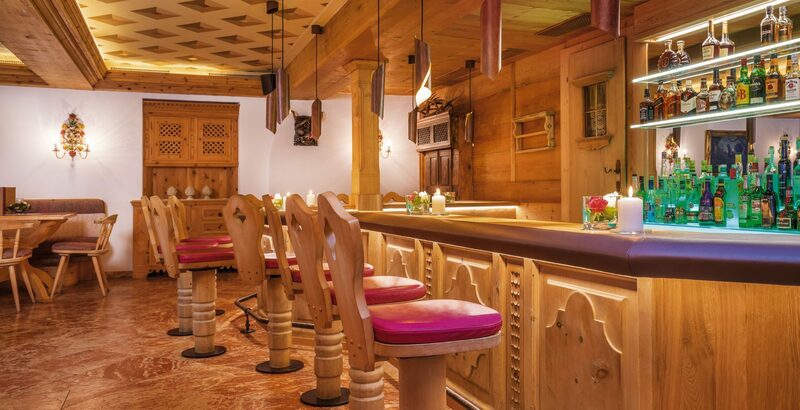 Having a drink in a convivial atmosphere with buoyant live music is a living Tirolean tradition. 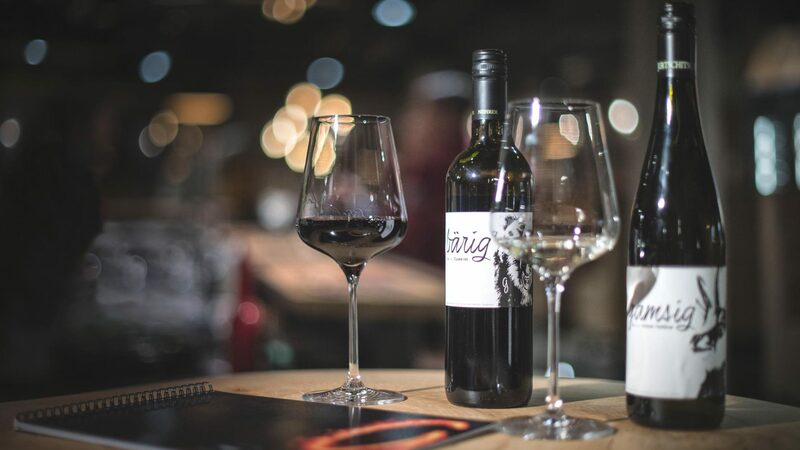 Whether after the delicious 5-course menu in our restaurant in Gerlos, or after a sporty day in the mountains: The Gaspingerhof bar is a meeting place for guests who enjoy their favourite tipple in a pleasant ambience. In the summer months guests meet on the large terrace. Our sommelier will happily recommend fine Austrian wines or spoil you with sparkling cocktails, fruity long drinks or hearty Tirolean liquors. 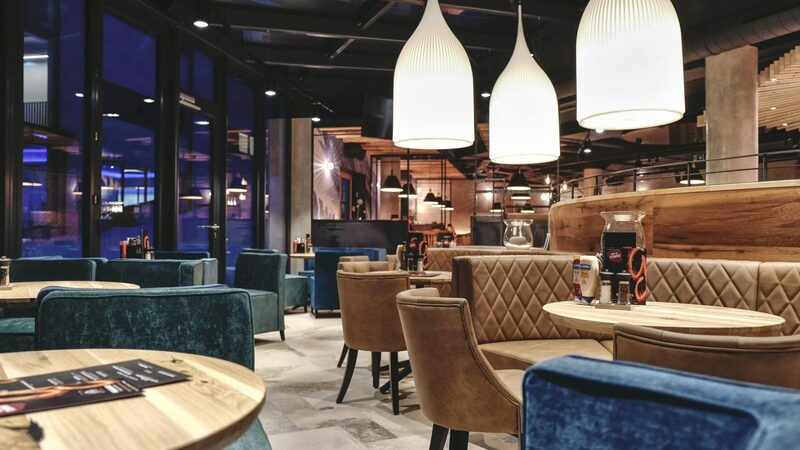 Of course, we also serve non-alcoholic beverages or our delicious coffees.